Speaking of magazines (and I was, just yesterday), Huffington Post has a special on all the magazines that have gone boom and then bust in recent years. 2009 could be known as the Inky Massacre: more than 400 titles have gone to the big forest in the sky since last January. Yikes. 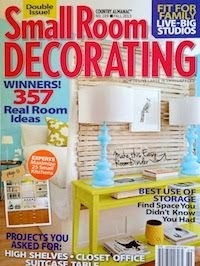 Titles "gone too soon" include Southern Accents, Metropolitan Home, Gourmet, and Cottage Home. Vote for your "most missed" (sniff, Domino, sniff), and then, as the British say, pull up your dirty socks and get back on your bicycle. Oh, those British. They've murdered off their fair share of periodicals this year too. I definitely miss Southern Accents in a very big way. It's almost like grief! As a new homeowner, I painfully miss Cottage Living and Domino. It seems that all the shelter magazines still on the stands are aspirational and have nothing to do with real life or mortal budgets. I ADORE your blog, by the way. It has become a fun daily treat for me. Cottage Living and Domino hurt, a lot, but Gourmet is still a shocker. I really had no idea what the tally was .. . remarkable. Goodness, it's been a bad year for print media. Alas though, I don't expect 2010 to be much better. I hope though that some of these dead mags will rise again as online only publications. 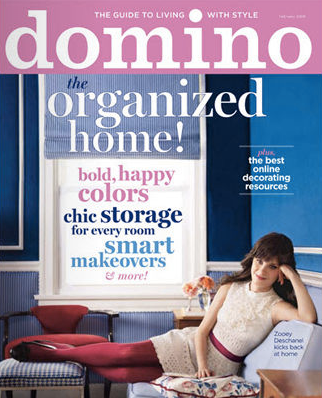 I miss all the shelter mags, esp House & Garden, Domino and I wish Gourmet hadn't folded.